A pawn loan works on a similar principle as other loans, with a few differences in terms of how the particulars work. As with any other loan, you’re taking out a specific sum of money, to be paid back within a given period of time with interest. However, a pawn loan involves a different process when it comes down to the way you procure the loan and the terms of repayment. Allow us to walk you through the process below. The first thing that you will need in order to obtain a pawn loan is collateral: that is, something to pawn. In the case of most loans (such as a credit card, student loan or mortgage), the thing you’re putting at risk over against the loan is your credit score. Should you fail to repay, you’ll be pursued by the lender and the numbers on that score will drop. This will affect your ability to take out other loans later. However, taking out a pawn loan does not require that you have a good credit, nor will your credit be affected should you be unable to repay it. Instead, the item you pawn serves as backup — collateral — against your loan. The agreement is that you will either repay the loan according to the terms of your contract, or forgo repayment and relinquish ownership of your collateral. You will not be pursued for repayment. When you decide to take out a pawn loan, you’ll find an item you’re interested in pawning. 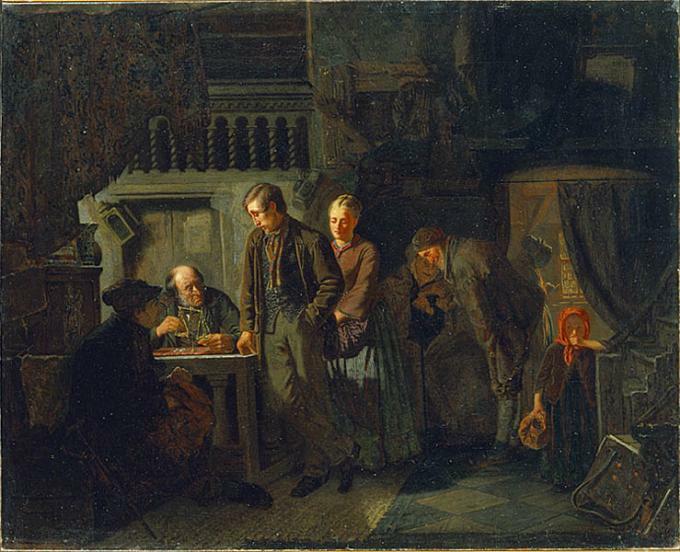 When you come in, you will see the pawn broker, who will do two things: first, he will assess the range of value the item might fetch on the market as well as how likely it is to be a valuable item to him as a broker. Then, if he thinks this is an item you’re likely to redeem, he will offer you a loan amount based on a percentage of that value. If you decide this is a fair transaction, you will agree to the terms of the loan. You will be issued a ticket enumerating the loan and its terms. This includes interest rate, repayment deadline, and any other important terms. Typically, you’ll be expected to repay in full or pay the interest to-date by the agreed date in order not to relinquish ownership of your collateral. For many people, a pawn loan can turn a dire financial situation into a win-win situation, providing not only the means to secure funds in a time of need, but the ability to do so without the hassle of credit checks. In addition, when you redeem your loan and reclaim your property, you are building a relationship with us, with the confidence that you can turn to us again in a time of need. You can get more information at the National Pawnbroker’s Association and Pawn Shops Today websites.